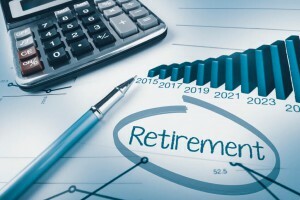 Home » Financial News » Caution: Rocky Road to Retirement Ahead! We hate to be the bearers of bad news, but at the rate you’re going, retirement is going to look more like your freshman finances than the Freedom 55 fantasy you see on television. The forecast is so glum, that your generation (those born after 1980) can expect to see a more than 20 per cent drop in your post-retirement standard of living, according to a recent report from CIBC World Markets. While the average 70-year-old today has enough income to maintain the standard of living they enjoyed before retirement, your generation is not as fortunate. Almost half of all millennials (46%) are most concerned about paying down debt. But fear not Millennial generation – the future need not be all doom and gloom! In fact, Jeff Schwartz, executive director of Consolidated Credit Counseling Services of Canada, believes your generation is in the perfect position to turn your future finances around. Pay yourself first – You have worked hard to get an education and launch your career. The last thing you want to see is all your hard-earned income leave your pocket. Pay yourself first by taking a set amount of each paycheque and putting it towards savings or investments. Automate this payment so it happens each time a paycheque is deposited into your account. Pay down that debt. Speaking of automation, why not set up your student loan payments, credit card payments and other fixed expenses in the same manner as your savings? Fixed payments that leave your account automatically each month can help quickly pay down debt, and help you avoid late fees or missed payments. Live within your means. After years of living as a starving student it can be easy to get caught up in a false sense of financial freedom. Yes, you are working hard for your money, but living a life that is larger than your income will quickly put you in the fast lane to more debt and a poor post-retirement standard of living. Dream big, but be realistic. Like most Millennials, you probably have financial goals that include marriage, family, travel and home ownership. These are all fulfilling and attainable goals – as long as you are realistic. When planning for your future always keep your budget in mind. Throw a wedding you can afford; buy a home that is within your means; and get your financial house in order before growing your family. Planning for the future is an integral part of a healthy financial outlook, but if debt payments are preventing you from saving for the future, we can help. Call 1-888-294-3130 today to speak to a trained credit counsellor and find out how you can get your budget under control. You can also try our Free Debt Analysis online and a counsellor will reach out to you.